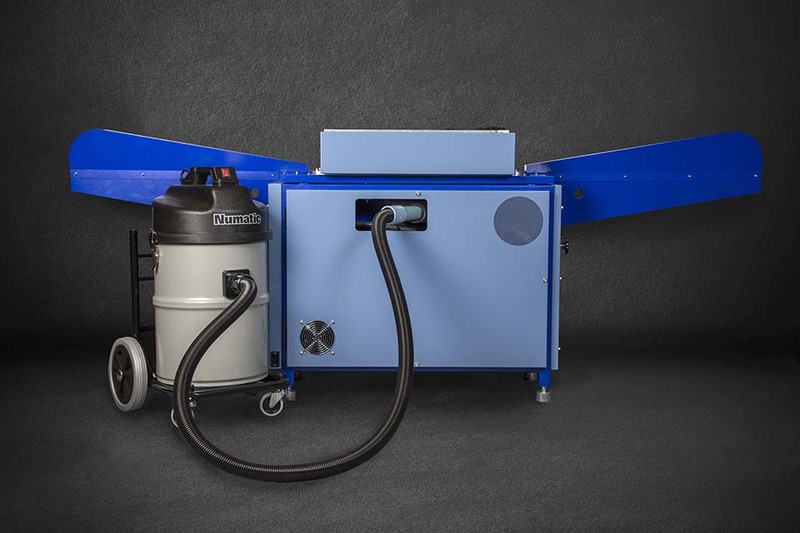 The 1550 Diamond Edge Polisher will convert the sawn edge of a piece of plastic material into a high-gloss polish in one operation. 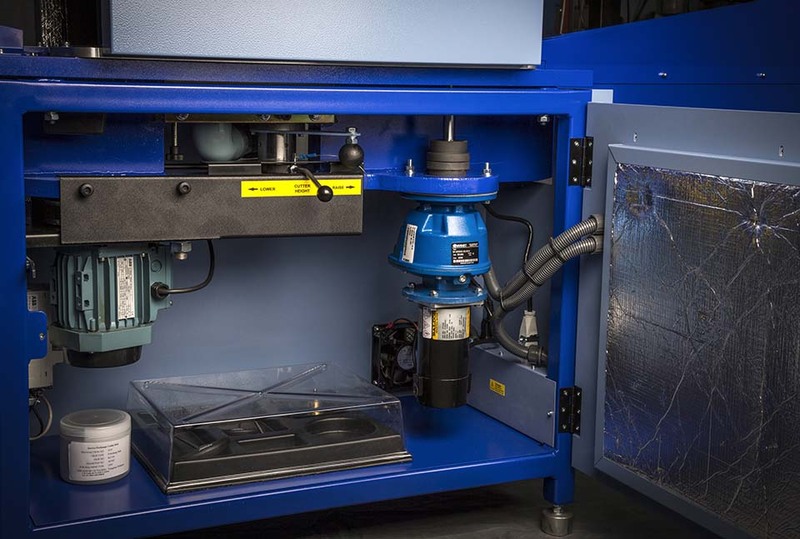 Our machine uses three diamond cutting tools mounted into a precision balanced steel cutter hub, ensuring minimal vibration even at the maximum cutter speed of 20,000rpm. The cutter hub is mounted onto a grinding spindle driven by a speed controlled motor, allowing the operator to vary the cutter speed for differing material characteristics. Materials from 2 to 55mm in thickness can be loaded onto the infeed track of the machine, and are fed across the cutter hub by the auto-adjusting, variable speed belt feed system. 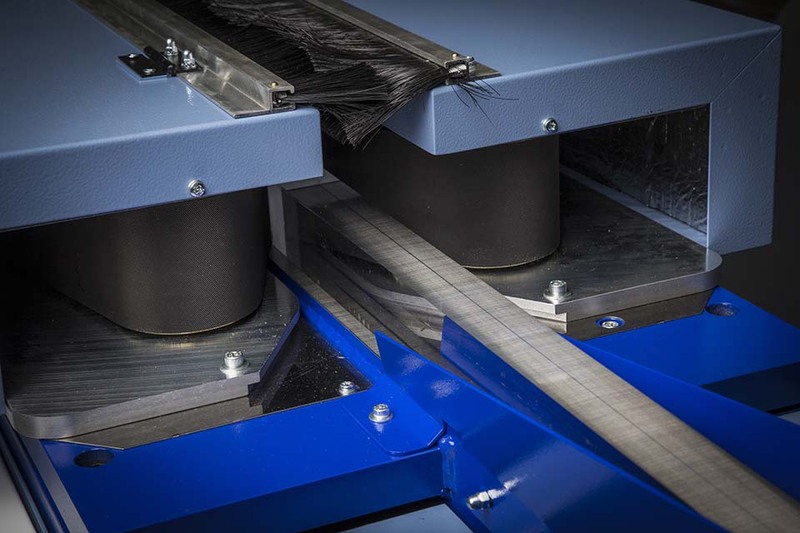 The belt feed system ensures that there is no limit to the maximum length of panel that can be processed, while our unique cutter cover that extends the feed tracks over the cutter ensures that short panels are polished accurately and consistently. 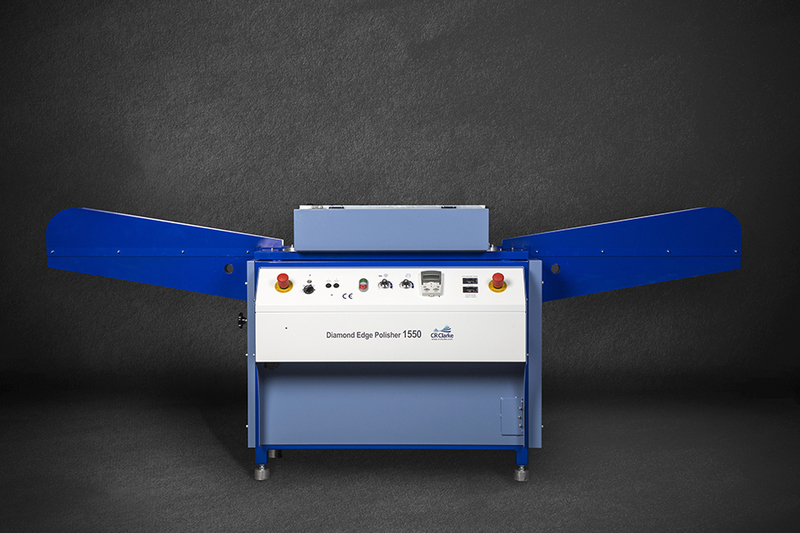 The belt feed system also allows sheets of thinner materials to be polished as packs, maximising throughput. On average, the 1550 will produce 1 metre of material per minute. The cutting process generates fine chips of material, and these are extracted from beneath the cutter to an external extraction unit. As with any Diamond Polishing machine, the cutter hub of the 1550 will eventually lose its edge and the polish quality will deteriorate. We offer a service exchange system so that, when this happens, you simply contact us and we will send a replacement cutter hub with fresh tools. Once the cutter hub is swapped over the original hub is returned to us for servicing ready for the next customer. We have run this system for over 20 years, and find it to be a very effective way of ensuring that customers are never waiting for replacement cutter hubs. As well as the normal gloss polish, we can offer satin finish cutter hubs, which are ideal for processing frosted materials or those that require gluing.